In November 2017 media producer Kate Whitley joined a Te Papa expedition to Tokelau. 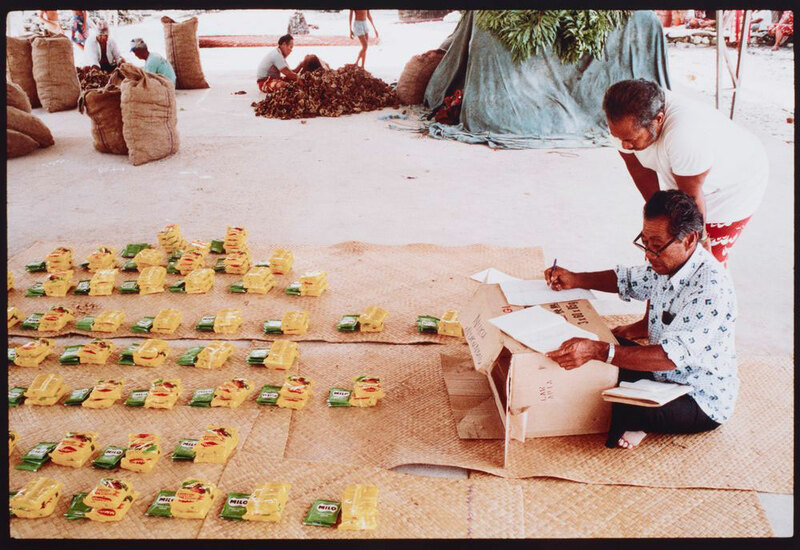 Reflecting on her journey, Kate explores the photos of Glenn Jowitt in our collection and talks with Paula Faiva about growing up in Tokelau and the importance of the inati (equal portions) system that underpins island life. 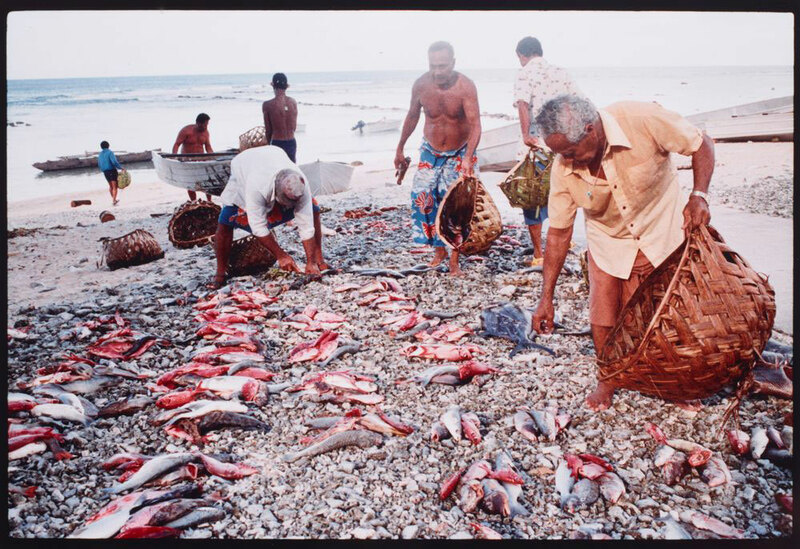 Te Papa is kaitiaki (guardian) to an important collection of photography by Glenn Jowitt, a New Zealand photographer who spent time in Tokelau in the 1980s. Jowitt’s photos provide a wonderful glimpse into the past – they’re a time capsule of life on these remote Pacific atolls. I love these photos because he turned his camera to the every day – small moments that illustrate cultural practice rather than depicting atoll life as a ‘tropical paradise’. Jowitt’s photos illustrate a community almost oblivious to his presence, going about their lives without posing for the camera. The resulting photos make us feel part of the action, participants rather than observers. Looking at Jowitt’s photos, it strikes me how little seems to have changed since his visit nearly forty years ago. Like these photos, when we arrived children crowded the shoreline waiting for our small tin boat to ferry us from the larger vessel (which can’t dock within the reef). Goods were offloaded and everyone pitched in to help. 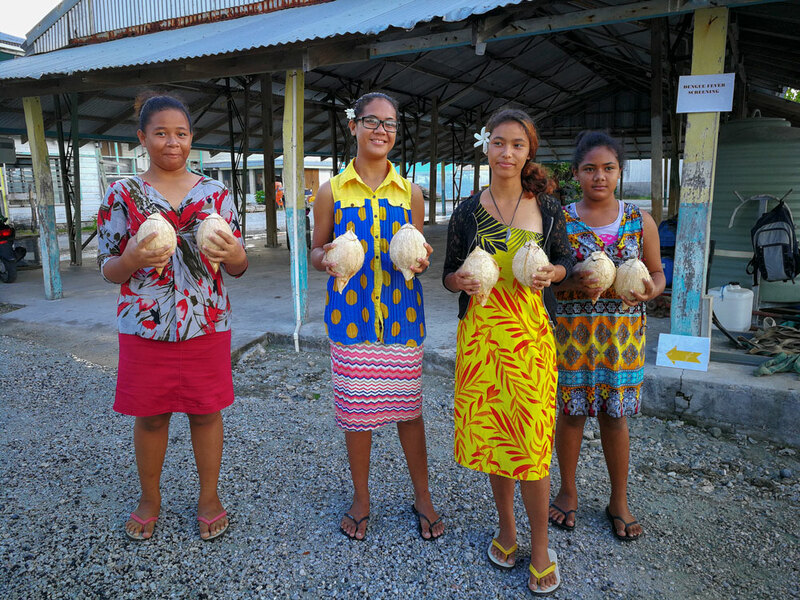 Colourfully-clothed young women shyly awaited us with coconuts and shell necklaces, and we were taken by the Tapulenga to be officially welcomed on each atoll. It’s was a humbling experience – we were honoured and made to feel like royalty. Once I began talking with Tokelauans however, it’s clear life has changed since Jowitt’s visit. 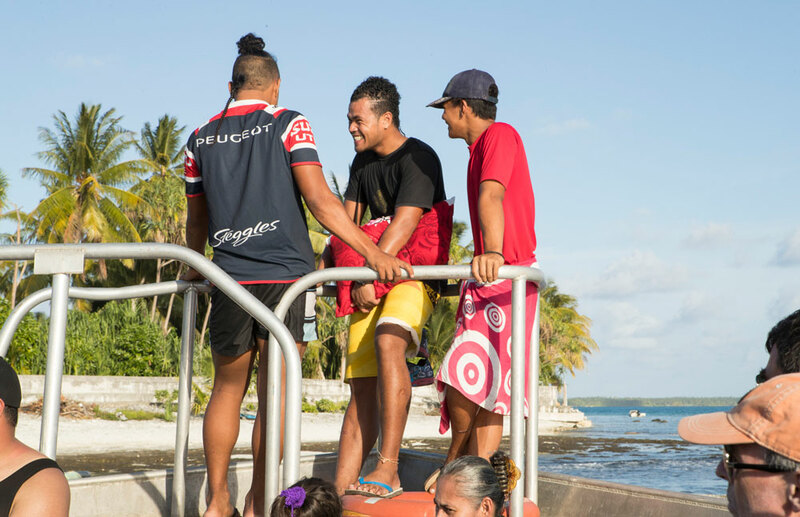 I learnt that the arrival of regular deliveries of food to the local shop on each island, along with 24-hour power as a result of solar-power initiatives, has resulted in Tokelauans taking advantage of refrigeration with less need to go fishing – meaning their traditional system of inati has changed. Jowitt’s photo above illustrates perfectly the practice of inati (sometimes referred to as enati), whereby each person in the community receives an equal portion of food. Small piles of fish are being laid out on the shore, ready for locals to collect. From what I observed on the atolls, the practice of inati is still being observed, although rather than from the shoreline, it’s now done at the island shop. In Nukunonu, I saw locals queueing at the local store, where a ledger determined each person’s share based on the number of people in the household. An early ‘store’ perhaps, is depicted in Jowitt’s photo above. I find it amusing that Milo (NZ chocolate and malt drink) is being equally apportioned and recorded in a very thorough fashion. 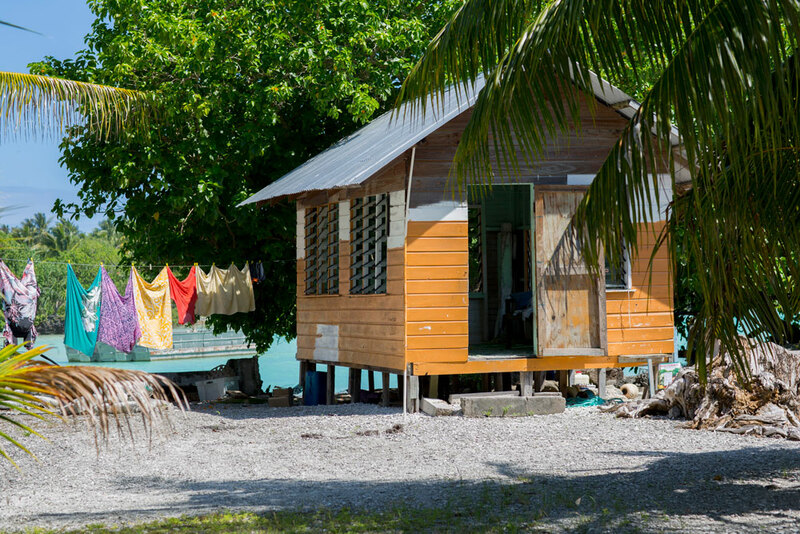 For me, the inati system is a beautiful part of island life and is the ultimate embodiment of community. To witness a culture and society that cares for all, and that has held on to this belief even with the advent of modern conveniences, is very inspiring.